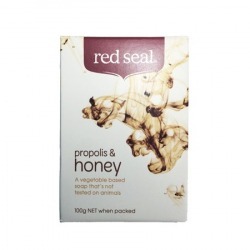 This category brings you lovely personal care products from the honeybees - propolis toothpaste, Manuka honey soap with bee venom, propolis (bee's glue) soap, and honey beeswax lipbalm, all free from harsh and harmful chemicals and gentle on the body/skin. 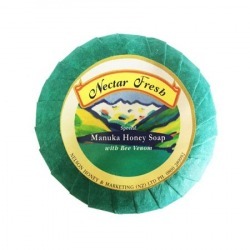 Try these wondrous bee products and you will realise how indebted we humans are to these tireless creatures and the extent which their products are underused, understated, and sometimes even misunderstood. 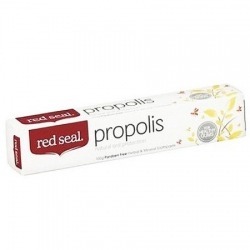 Description: Formulated with bee propolis and a mild abrasive to prevent plaque build up, this toothpaste is recommended for extra gum care, receding gums and when requiring minimum gum irritation during brushing. It also contains oils of eucalyptus and aniseed help to fight plaque bacteria and prevent tooth decay, as well as totarol, an antibacterial agent extracted from the dead wood of the New Zealand Totara tree. 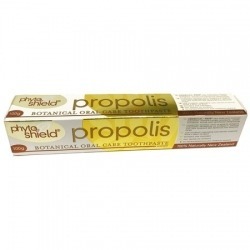 Dental experts found that propolis contains compounds that help strengthen tooth enamel. 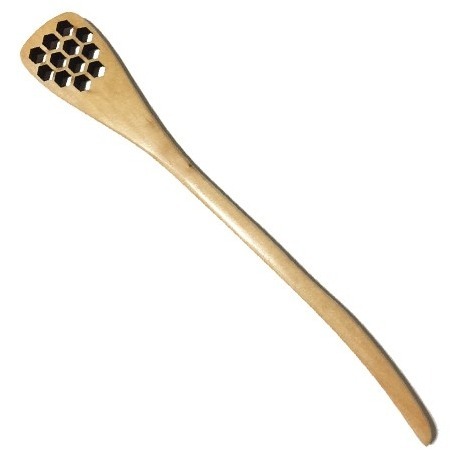 It inhibits the growth and development of streptococci bacteria that trigger the onset of dental caries and cavities. 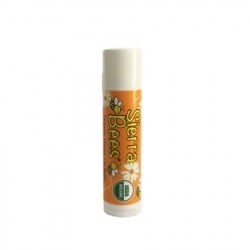 Highly recommended for those with weak gums and those prone to canker sores and tooth cavities.